Join us for a great night at the movies. 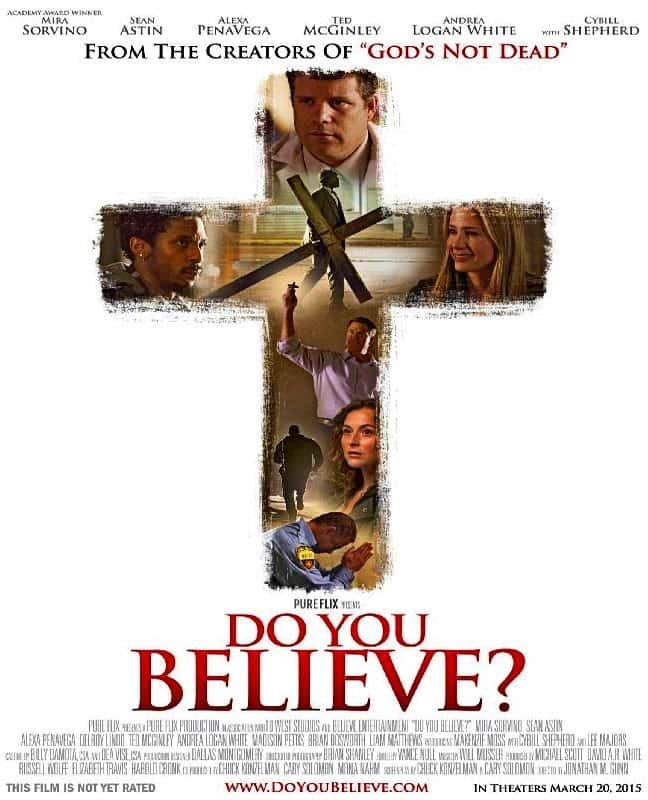 On the 26th we will be showing “Do You Believe?” You can check out the trailer for the movie here. This film challenges believers to consider the impact of the cross on their lives and how will they reach others with the love of Jesus. The “Plugged In Movie Review” is available here. We will be showing a kids movie for younger viewers at the same time in the cafeteria. Please email us or sign up at Life Line for childcare this evening. Hot dogs, popcorn, drinks and other movie snacks will be provided.